Los Angeles: Three months after Pretty Little Liars ended its seven-season run, the series is getting a new spin-off. Freeform has given a pilot order to offshoot Pretty Little Liars: The Perfectionists, top-lined by PLL co-stars Sasha Pieterse and Janel Parrish reprising their roles, reported Deadline. The show is based on the popular book series The Perfectionists written by PLL author Sara Shepard. 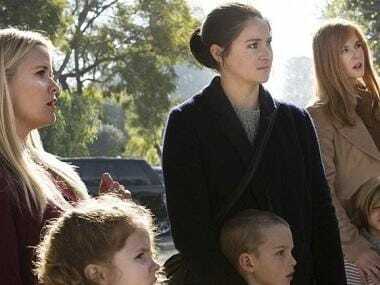 Pretty Little Liars: The Perfectionists is set in the town of Beacon Heights where everything seems perfect, from their top-tier college to their overachieving residents. But nothing in Beacon Heights is as it appears to be. The stress of needing to be perfect leads to the town's first murder. Behind every Perfectionist is a secret, a lie and a needed alibi. The spin-off is produced by Alloy Entertainment and Long Lake Media in association with Warner Horizon Scripted Television. I Marlene King has written the pilot and serves as executive producer with Leslie Morgenstein and Gina Girolamo.